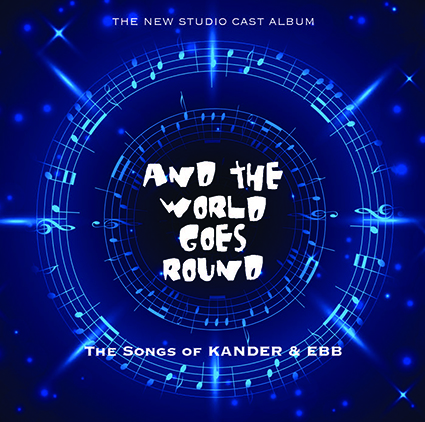 Joshua Eli Kranz is the musical director, studio pianist, and vocalist on the World Premiere of the 1st COMPLETE Studio Cast Recording of Kander and Ebb's And The World Goes 'Round. The recording is a co-production between Be Wild About Music and Kritzerland, Inc., Bruce Kimmel, producer. 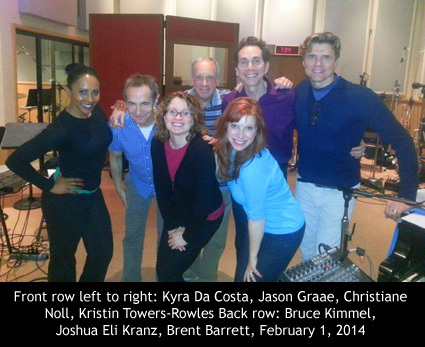 The cast includes: Brent Barrett, Kyra Da Costa, Jason Graae, Joshua Kranz, Christiane Noll, Kristin Towers-Rowles. The recording will be available OCTOBER 2014. “Getting the recording done is a huge accomplishment!!! Congrats to the great cast, producer Bruce Kimmel, and musical director Joshua Eli Kranz." a pretty terrific sound throughout ... nothing short of shear heaven!" "... created completely in a recording studio and ... [has a] total 'Live on Stage' feel!" "...the cast recording is fabulous." "I am very impressed with the playing and the singing, with a special emphasis on the band." "Congrats on a wonderful job BTW !!!" "I think you did a great Job!...of honoring the great work of John Kander and Fred Ebb!..True Theatrical Treasures! I really enjoyed your work!"